This pattern would make a great item to cross stitch for a baby or a baby's room. The pattern download includes a complete pattern, color key and sheet. 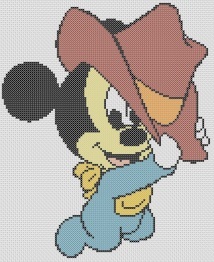 Follow the link and use the password crossstitch4free to unzipp the file once it is downloaded.